We offer a variety of services from standard plumbing requests – drain cleaning, repairing leaks, new fixture installations to bigger projects like replumbing a house! We serve to different areas so checkout if there are services near you. Here are our details in case you want to have plumbing service in your home! Is your shower dripping or hard to operate? Tired of hearing constant drips, or having to put something under a leaking valve just to avoid creating a puddle? Such inconveniences may affect the water pressure in your shower or faucet and will eventually cost you money. Raleigh Plumbing Repair Services is the company to call if you’re looking for a fast quality service. We have trained and skilled plumbers to provide you with excellent services. Affordable rates! You can have peace of mind knowing that the repair you need will be delivered with top quality at a great price. Expert Plumbing Services You Can Count On! Your plumbing is probably something you don’t think about very often – UNTIL something goes wrong. And then, it’s bad. We can have your plumbing up and running like new in no time. Our plumbers are some of the best in the Triangle plumbing repair industry. We can fix any problem – no matter how big or small. Let our professional plumbers provide you with the best service possible. Let us help you save time and money! We pride ourselves on providing quality in-house local plumbers that you can count on to professionally handle any plumbing repair or installation in a quick and efficient manner. We are committed to customer satisfaction with all of our services. Raleigh Plumbing provides a wide range of plumbing repair services in and around the Triangle area including Knightdale, Wendell, Zebulon, Garner, Rolesville, Raleigh and North Raleigh. We provide all types of home and commercial plumbing for any need in those areas. Are you in Johnston county? Check out Durham plumbing, Brier Creek Raleigh Plumbing, Clayton plumbing, Smithfield plumbing or Selma plumbing! We can replace or repair faucets leaking or stuck shutoff valves in your toilet, shower, sink, tub, and appliance hookups. We are committed to providing Triangle homes and businesses high-quality plumbing service. Let us know what you need to accomplish, and we will do all necessary repairs and installations. When it comes to reliable plumbing repair, Raleigh residents have given their trust in us for decades. 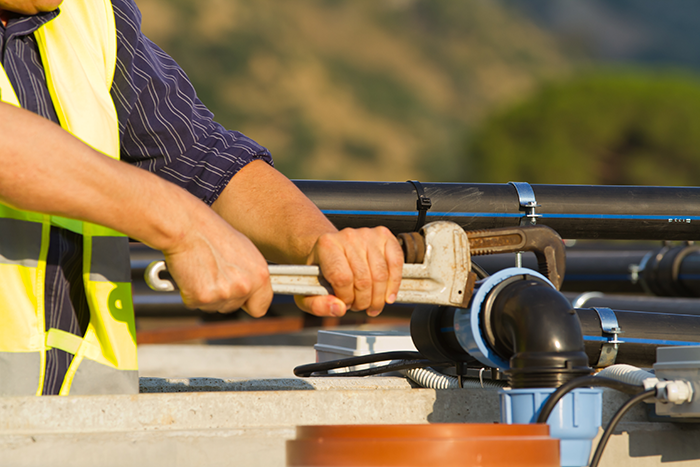 Our skilled team of plumbers has a long track record of providing nothing but excellent work. Be one of our happy clients. Get in touch with us today.